Betty Manetta, Founder, President & CEO of Argent Associates, received the United States Hispanic Chamber of Commerce (USHCC) 2015 Businesswoman of the Year Award. 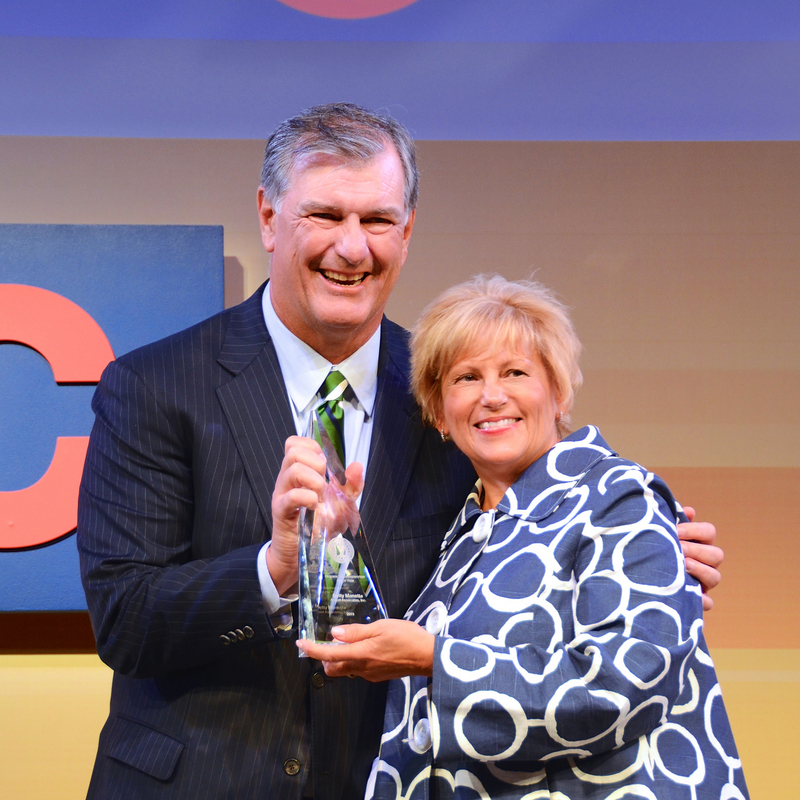 The award was presented by Dallas Mayor Mike Rawlings at the 36th Annual National Convention on September 22 in Houston, Texas. The USHCC Annual National Convention is the largest gathering of Hispanic business leaders in the United States. Each year, the USHCC honors a female entrepreneur whose outstanding leadership, pioneering spirit, social and economic contributions exemplify the best of America's business community. The award pays tribute to an extraordinary woman who embodies success, drive and inspiration. It also celebrates accomplishments, talent, hard work and commitment to community. “Over the last 36 years the USHCC has been the catalyst for many Hispanic entrepreneurs. They have shown commitment to education and the economic well being of our community. Their leadership and vision have created a strong platform for the voice of the Hispanic business community, “said Manetta. Argent Associates, Inc. is an award-winning systems integrator and technology innovator. Its family of companies develops business ecosystems that combine and redefine the boundaries of today’s supply chain. Its eco-systems combine wireless and IoT technologies with cloud applications to deliver simplicity and performance driven efficiencies. Its family of companies provides solutions across technology, life cycles. We create new products, distribute whole multi-vendor solutions, we engineer, install and optimize and ensure our environment is protected through responsible end-of-life cycle management and green solutions for carbon reduction. Argent is a nationally certified minority-women owned business, with ISO9001 and TL9000 quality certifications. Argent is headquartered in Plano, Texas. For more information, please visit http://www.argentassociates.com.